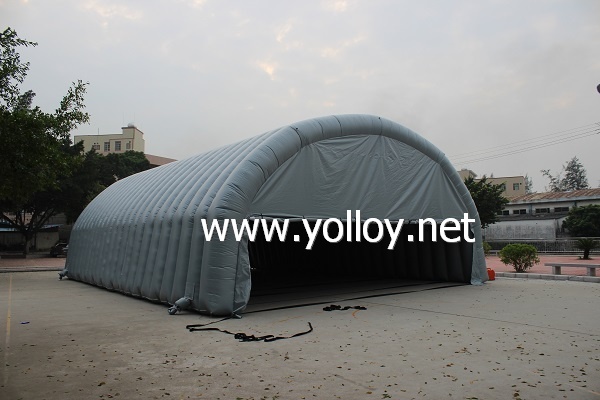 Arch shape inflatable party tents widely used as inflatable party tent,inflatable event tent, inflatable advertising tent, inflatable sports tent, inflatable exhibition tent, inflatable wedding tent, inflatable warehouse tent, rest room tent and so on. The size of the tent is 15mLx10mWx5mH, And the size can be customized. There are 2 entrance at the end, one large and one small. So no matter small things or large objects, they are all easy to put inside. So no matter what kind of event, This inflatable tent will be widely use. Custom making can be available.If you are interested in it, please advise the size you will in needed,and we would like to assist you to find the suitable tent you want.